Aluminium plant (Pilea cadierei): growing, planting, caring. With its wide bushy leaves that are marked with silver patterns, this species of Pilea native to China and Vietnam will do wonderfully as a house plant. 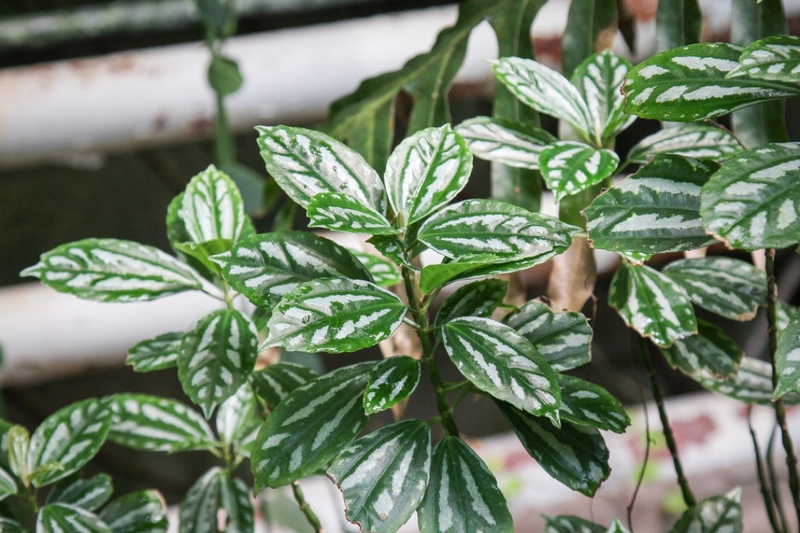 Showy, silver-splashed ovate leaves make this species a stunning and popular house plant. It's easy to grow, too, as long as you can meet its need for humidity. The Aluminum plant prefers humidity to wet soil. In fact, it won't tolerate soggy soil which might cause root rot. To choose the location, you need a bright place without too much direct sun - especially that of the afternoon - and away from the radiators. Pileas are small-growing plants, a 3 liters pot is often enough. For planting use potting soil for indoor plant - rather woody so - or a beautiful compost well decomposed and very woody, very draining. It is sometimes advisable to add peat, but it is a nonrenewable resource, so it's up to you ... Beware, the pilea likes moist, do not place them in a draft! You should water your pileas twice a week on average, when the upper soil has dried. Of course, you will have to adapt the frequency according to the seasons and water only every 12 days in winter. N.B: The pilea is a neutral to acid soil plant, avoid watering it with tap water, which is usually limestone. Every year, in March, change some of the earth of the pot, or find a bigger pot. Use potting soil for indoor plant - rather woody - or a beautiful compost well decomposed an dwoody. In summer, pour every 2 weeks a liquid fertilizer for green plants - or a good compost juice diluted to 1/10 if you have some! A slow-release fertilizer is possible ... Stop every fertilizing in the fall, and until the end of the following spring.